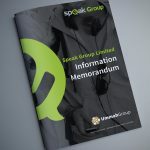 A business proposal and presentation, that works as both a printed document and an interactive slideshow. Information is presented together with graphics to deliver an exciting and memorable business proposal. 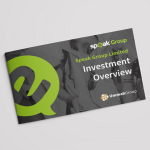 Branding themes for the document are designed specifically to resonate with the client. Features, benefits and key USP’s are highlighted with vibrant informative graphics.